Started in 1965 and based on a structure created in a student’s term paper (upon which he received an average grade) outlining a system to accommodate urgent, time-sensitive shipments such as medicine, computer parts and electronics. Using planes to send these shipments quickly was a revolutionary idea, and one that started to set a standard in “express” shipping. Above all else, FedEx is fast and has superior tracking (highly detailed). I tend to trust them with high value items, shipments where timely delivery is the most important factor, and for International Express shipping. 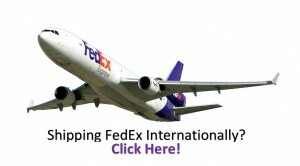 In 2001 FedEx Express and the U.S. 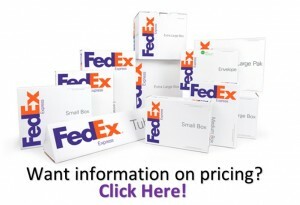 Postal Service forged a public-private alliance and now FedEx works as a subcontractor for the Post Office on International Express shipments including USPS Priority Express and USPS Global Express Guaranteed. FedEx Drivers compete in state truck driving championships and place consistently high in the rankings; so far this year 45 drivers have been awarded top honors (usually in the top three places). Since 2005, FedEx Freight has delivered over 120,000 live Christmas trees to military troops and their families across the U.S.